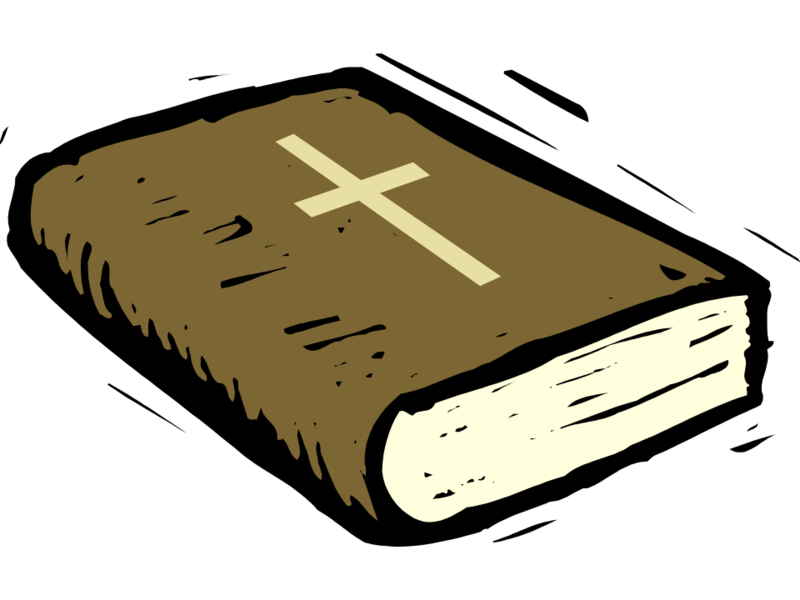 Are there rules and regulations in the Old Testament? Yes, but God gave those rules and regulations to the Jews to protect them and to remind them of His covenant with them, not for any mysterious reasons. The Jewish holidays are feast days, not days of suffering. There is one thing the Jews did that was grisly. They sacrificed the blood of innumerable animals to God (For the most part, they ate the meat.). Those sacrifices foretold the sacrifice that God’s Son would make on the cross for our sins. He lived a perfect life, yet he died in immense pain. Beaten. Lashed. Shamed. Hung by nails on a tree. Every drop of blood drained from His body. He took our sins upon Himself. Because of our sins, He experienced separation from His Father. Because of His perfect life and perfect sacrifice, He returned to heaven and now serves as our High Priest. Even now He intercedes on our behalf with the Father (Hebrews 7:25). But we make things too complicated. This is God’s universe. We are just here for God’s glory, but our egos demand that we do something. Like little children, we see mommy at the stove, and we want to cook too. Yet our Father knows we don’t know how to cook. The Bible tells His story, but we don’t understand what Jesus did. God knows that if we enjoy, praise, and are thankful for what He cooks we have done all we can do. So where did all that arcana that some speak of come from? Jesus explains in Mark 7:1-23, and He condemns it Matthew 23:1-36. The teachings of the Pharisees infuriated Jesus. Why? What angered Him? For the sake of their own glory, the Pharisees had added the commandments of men, arcane rules and regulations, to the Bible. Consider what the Pharisees did with the Sabbath. The Sabbath was suppose to be a day of rest, a day off to give everyone time to be with family, friends and God. The Pharisees turned that into a day it was not even permissible for God to heal the sick. How stupid is that? How stupid and hateful can we be? God knows, and so He came to save us. WHAT DO CHRISTIANS HAVE TO BE THANKFUL FOR? Good post. Food for thought. Critics are, in my humble opinion, too harsh on the Pharisees. Why do I say this? First. Israel, in particular, the Sanhedrin (or “Council”), that is, supreme ruling body of Israel (at that time), was divided into two sects: Pharisees and Sadducees. The Pharisees were noted for a strict observance of the Law of Moses, of rites, of ceremonies, and of the traditions of the elders, and whose pretended holiness led them to separate themselves as a sect, considering themselves as more righteous than other Israelites. The Sadducees were exactly like the Pharisees, excluding some theological doctrines, namely, they denied the resurrection, denied a future state, and denied the existence of anything spiritual (i.e., angels, demons, etc.). This theological divide created tension between the two sects, and both sects challenged Christ Jesus regarding these theological disagreements. (I would argue the Pharisees were conservative, i.e., secular and spiritual, while the Sadducees were liberal, i.e., secular only.) The Pharisees challenged Jesus on legal matters, whereas the Sadducees challenged Him regarding spiritual topics. Second. Back to my question. A Pharisee was, technically, closest to a Christian than a Sadducee. How? The Pharisees believed not only in secular (or temporal) precepts, but also spiritual precepts of the Scriptures, especially the resurrection of the dead. The Sadducees did not believe in the resurrection. Do not Christians believe in the resurrection of the dead? Yes! Not only the resurrection of the dead, but also the resurrection of Jesus. The resurrection of Jesus, and of the dead, is the lynchpin, the keystone of Christianity. Though secularly alive and spiritually dead, the Pharisees were, in many ways, a precursor to the Christians. We do not give enough credit where credit is due. We should not be quick to judge the Pharisees; there is much to learn from them. Final thought. Believe it or not, the primary theological divide between the Pharisees and Sadducees continues today in the world. There are people who believe in the resurrection and there are people who do not believe in the resurrection. The unbeliever subscribes to the Sadducidical worldview, whereas the believer subscribes to the Pharisaical worldview. What is more, Paul, during his defense before the Council, appealed to the Pharisaical worldview because the beliefs of the Pharisees were closer to Christianity than the beliefs of the Sadducees. The Apostle Paul and Nicodemis were Pharisees. Even before they became Christians, few of us would claim to be better than those men, and it seems many of the Pharisees became Christians. Sometimes I forget, and I stand a bit to far apart and criticize, but we all have our flaws as well as our virtues. Because we all have our flaws, Jesus came to save all of us. In his Through the Bible radio show, I recall that J. Veron McGee made observations similar to your with respect to the Pharisees and Sadducees. So you have the support of a respect scholar for your position. The Pharisees I can relate to. I have more difficulty with the Sadducees. Given what the Sadducees believed, I wonder why they remained Jews. The Pharisees are alive and well Sadly we cannot force Christ on anyone – no matter how badly they need him!Christ offered himself and healing; which is His legacy to us to offer him and healing! I don’t usually relate spreading the Gospel to healing. Given the numbers of people Christ healed, I suppose I should. Yet we usually given another name for the healing that comes with being born again. Yes, born again, or from above. True healing body and soul! ‘There is one thing the Jews did that was grisly,’ then you spoke of the many sacrifices, and of course finally ending at what happened on Golgotha’s hill. Many will take offense not at the death of Christ, but on the ‘many animal sacrifices.’ They will see the ‘grisly,’ and well they should, but they will fail to see WHY. Sin isn’t pretty. It is grisly! It is violent. When the high priest went into the holy of holies once a year, it was because of sin. It was a sober event. And what does the Lord of the Sabbath do today to they who continually mock him and ignore sin? Nothing. Nothing but extend more grace. Thank you for the excellent comment. Sometimes I think people worry about the suffering of animals because they fear too much the pain of another human being. The pain of another human being reminds them of their own vulnerability. At other times I think people are so ridden with guilt they rejoice in the suffering of their fellow humans. Some how, because of the damage we have inflicted upon the earth we deserve to suffer. Yet if that is so, I wonder why these feel no obligation to join in that suffering. What the the truth about such people? Because they don’t say, I don’t know. Nevertheless, their priorities do seem to be skewed. The priests did not torture the animals they sacrificed. Nor were they guilty of waste, but they did kill no small number of animals at the temple. Very important point u make CT in your last paragraph. The good book says, ‘A righteous man regards the life of the beast,’ and we can be certain, that in the strict kosher laws, there was taken into consideration HOW the animals were killed.